Veth Propulsion has provided Damen Shipyard with its Z-drives for the yard’s tug vessel named Papillon. Thanks to its longstanding experience and several years of collaboration, Veth Propulsion was chosen to deliver the main propulsion system for this ASD tug (type VZ-1100A with Mitsubishi engines of 1040 kW). “Veth Propulsion and Damen Shipyards have been working together since the 1980s for the delivery of Veth Z-drives, tunnel bow thrusters and generator sets for different types of vessels. 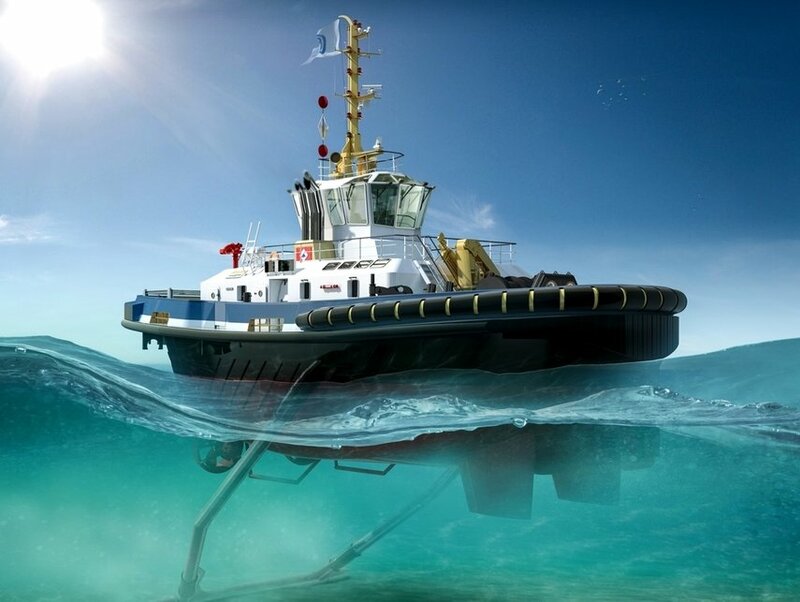 We are very proud that this cooperation is now awarded the delivery of a Z-drive for an ASD tug,” said Martin van der Jagt, General Sales Manager Veth Propulsion. Papillon is the latest addition of De Boer Remorquage SARL from Cayenne (French Guiana – neighbouring Surinam), a subsidiary company of Dutch Dredging (Baggerbedrijf De Boer) from Sliedrecht and Iskes Towage & Salvage from IJmuiden, the Netherlands. “Our delivery does not stay with this one tugboat. A new order has already been placed for a multipurpose tug/dredger, the WID 2915 Hybrid. Veth Propulsion will deliver 2 Veth Hybrid Drives (VZ-1250A-VHD) / 1425 kW) and a Tunnel bow thruster (200 kW),” concluded Van der Jagt.